YAY! More clothing! 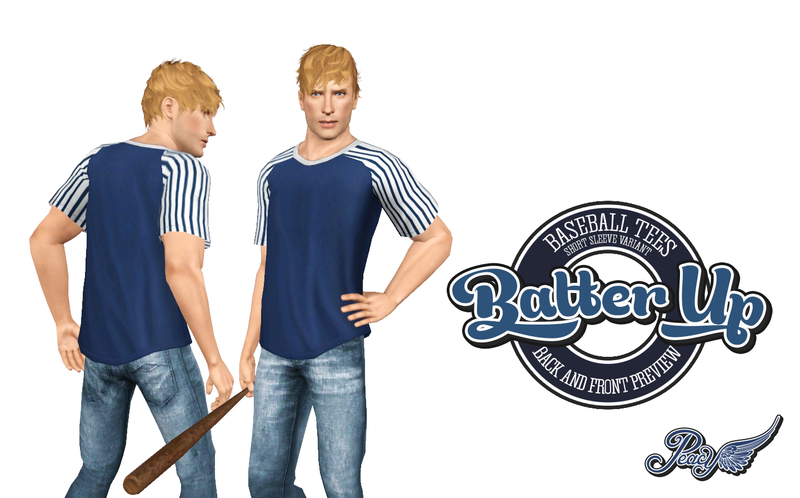 To go with the baseball poses I give you proper Baseball Tees in short, three-quarter and long sleeve variants. 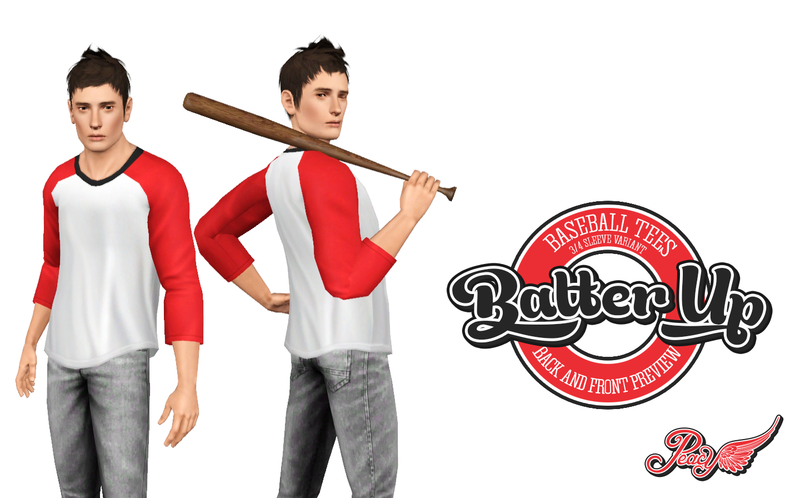 These are what inspired the pose pack and work really well together (although baseball players don't wear these styles when playing major league, they are still an awesome design). I want to give a special shout-out to gothfamilyswag on tumblr who sent in the suggestion for these. 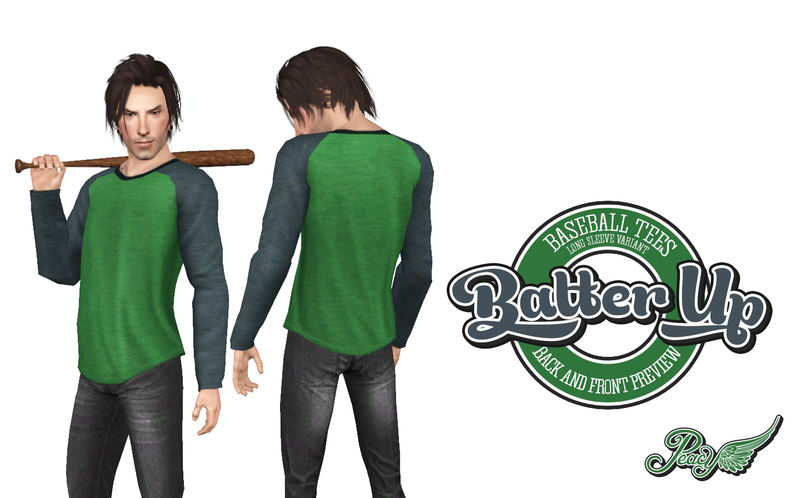 Most baseball tees for The Sims 3 are not actually the traditional design and are just a mask edit. They generally have a break in the sleeve around the shoulder and when a pattern is applied it breaks at that point. So i decided to make some proper ones for the guys. 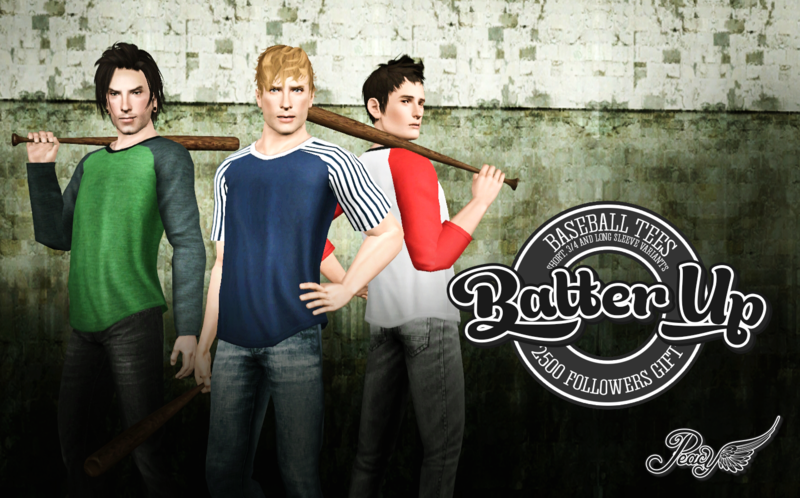 These were quite hard to get right as there are not many clothes with this style sleeve (2 to be exact), but I made it happen and decided to make it a followers gift too. These shirts also make use of my fading away baggy top mesh retaining about 60% of the original. I wanted a baggier look and had already done a lot of the work, I just decided to use it as a base. You're a legend. True legend. Couldn't find this anywhere - better than store bought content.